Transforming your smile has never been more discreet with invisible braces in Luton. There has been incredible innovation in the type and range of braces that are now available that use clear plastic brackets and tooth-coloured wires or even, clean plastic aligners that are fully removable. Straightening teeth no longer needs to be lengthy, uncomfortable and obtrusive; they can be targeted, simple and almost invisible. One of our most popular teeth-straightening options is Invisalign. 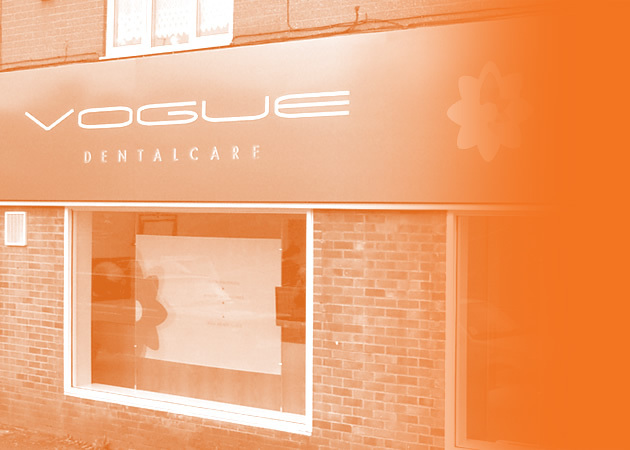 Firstly, you’ll need to be assessed by one of the team at Vogue Dental Care. We will look to see if invisalign is the best realignment option for you and the results you’d like to achieve. If it’s not, we will then look at our other options for invisible braces in Luton. Once we’ve agreed on the treatment plan, we will then take detailed images of your mouth. These are then sent to the laboratory and a series of aligners will be 3D printed to fit your teeth precisely. Each aligner represents a small shift in the position of your teeth. It will take between 7-10 days for this subtle shift to occur, moving your teeth an incremental step towards their final destination. Over a typical period of 12-18 months, your teeth will be moulded into a new position, completing their transition to a new straight smile. The benefits of these clear aligners is choice. You can take them out for special occasions and because they fit so tightly to your teeth, it’s only close up that they will be at all visible. Since they are completely removable you can take them out for eating and twice-daily brushing. It’s important to be fastidious in this routine as small bits of food debris could otherwise be held against your teeth, creating possible hot spots for tooth decay. Invisible braces in Luton have effectively replaced traditional braces with fast, efficient and unobtrusive teeth-straightening apparatus. It means that during treatment your look will never be compromised. Once your brace journey has ended, your teeth are now in a new position that not only looks good, it actually functions better. This entry was posted in Invisible Braces on 9th April, 2019 by Vogue Dental Care.